Melbourne, Florida – May 5, 2015 – Kicking off Preeclampsia Awareness Month #PreAM15, the Preeclampsia Foundation, joined by Every Mother Counts, a non-profit organization dedicated to making pregnancy and childbirth safe for every mother, is raising awareness about preeclampsia and efforts across the United States to put an end to severe maternal morbidity and mortality. The organizations are hosting a live Twitter Town Hall on Thursday, May 7, 2015, from 1 to 2 pm ET with several members of Congress, including Congressional Women’s Caucus Vice Chairman Doris Matsui (D-CA), Representative Leonard Lance (R-NJ), a champion for advancing treatments and cures for patients, Representative Ryan Costello (R-PA), and Representative Lucille Roybal-Allard (D-CA), a long-time champion for preeclampsia and maternal health research. Both Matsui and Lance serve on the House Energy and Commerce Committee with jurisdiction over health policy issues. To join or follow the live discussion, follow @Preeclampsia and #PreAM15. 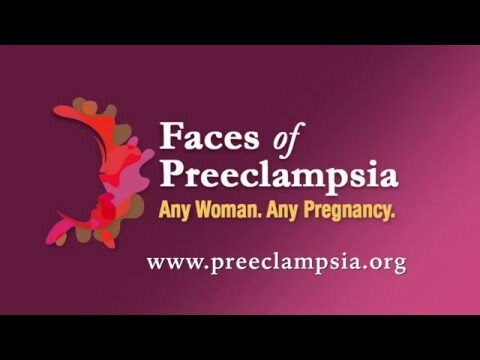 The Preeclampsia Foundation will highlight work being done in such states as California and New York to improve the health and save the lives of moms and babies. States have used education tools developed by the Foundation and academic medical centers to ensure hospital systems and individual healthcare clinicians can identify and respond to preeclampsia symptoms in time, saving lives. Members of Congress will talk about the importance of maternal and infant health as public healthcare priorities. Preeclampsia is a life-threatening disorder of pregnancy and the postpartum period related to high blood pressure that takes the lives of an estimated 76,000 women and 500,000 infants every year worldwide. Other risks to the mother include seizures, stroke, organ damage, and death. Risks to the baby include premature birth and death. Because symptoms of preeclampsia can be mistaken as being “normal” variations during pregnancy, it is critical for all pregnant women to understand and recognize its warning signs and seek medical attention if they experience them. These include upper right belly pain, headaches, throwing up (later in pregnancy), seeing spots and other vision changes, swelling in the hands and face, and gaining more than five pounds in a week. For more information, contact Debbie Helton at the Preeclampsia Foundation, 321.421.6957, Debbie.helton@preeclampsia.org, or visit www.preeclampsia.org/pream.